You can't win if you don't score runs. Take your young mashers to the next level with these youth softball hitting tips. Is practice really preparing your batters for what they will face in a game? Do you tend to have batters that look awesome in practice during drills or off the machine, but for some reason can't quite produce come game time? Bat speed and power come from the hips and the core. Add explosiveness to your swing and become a dangerous hitter with these tips. The Hawk Eye drill is a great way to improve a player's pitch recognition and reinforce proper hitting fundamentals. Improve hitter mechanics and increase strength with these offseason weight training drills. 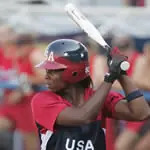 Hitting a softball is not easy if you don't have the right fundamentals nailed down. 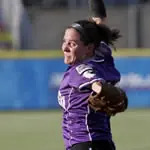 Coaches emphasize correct softball hitting fundamentals because they know: for players to be successful at the plate they need to have the fundamentals properly aligned. See more softball drills & workouts or find a softball league near you.